Now in my life as a private immigration attorney trying to help people navigate the confusing, frustrating and often nonsensical arenas of immigration law, the thing I miss most is access to the information. This is information about my clients, which if I, and they, only knew, could help them win their cases and get the immigration benefits or relief they deserve. Most importantly, if we know what the government knows, there will be no surprises in immigration court where the government attorney pulls out a document that your client forgot existed that completely contradicts everything they said during their immigration case. Information is power and FOIA is information. Many immigrants come to my office, call me, or Skype or FaceTime with me for a consult and want to know how to obtain lawful immigration status or come to the United States legally. Very often, they have previously had an encounter with CBP (Border Patrol or Customs and Border Protection at the Air and Sea Ports) or ICE officers or USCIS or a problem with a U.S. Consulate overseas. And every time, unless the client has every piece of documentation or evidence from every encounter with federal immigration authorities, I suggest, nigh, I require a FOIA request. With that request, I can find out almost everything that is in that secretive brown alien file the government keeps in a cave in Missouri (NRC- another acronym, stands for the National Records Center and its where they keep all the A-files they are not actively working on). Usually with a FOIA request from USCIS for the contents of the A-file, I can find out how my client came into the country, how many times, where, when, if they were deported or not, if they were in immigration court or not, and if they have possible immigration benefits out there they didn’t even know about. Most importantly, I can help my client know what they didn’t know, and help them avoid common pitfalls that other less-prepared immigration attorneys ignore. If your attorney doesn’t do a FOIA in your case, ask them why and if you don’t like the answer, come see me. 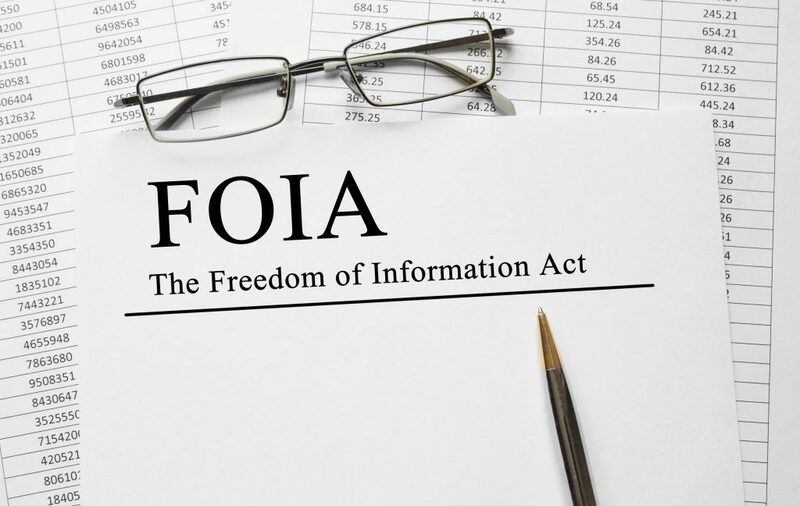 There is no government fee to request a FOIA and a skilled immigration attorney can use that FOIA to save you not only time and money in your immigration case, but could also help you from walking into an immigration trap that could get you deported. Another fantastic use for a FOIA is to order your complete immigration court record. Yes, that’s different than getting a FOIA from USCIS for your A-file. This will help your attorney find out what happened during a previous immigration case. This can lead to information that can help reopen a case where there was an order of removal because your client didn’t show up for court (In absentia) or had ineffective assistance of counsel or because the law changed. Remember, FOIA is Power, and if you want that power, make sure your immigration attorney requests a FOIA.